Building on the high-quality reputation of the original Naperville school, The Compass School opened a second campus in Naperville in 2009. The Compass School of Naperville (South) campus is located in southwest Naperville, near the intersection of Route 59 and 95th Street. It is convenient to several prominent housing communities, including Tall Grass, White Eagle, Stillwater and Ashbury. 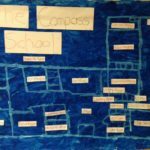 The Compass School of Naperville (South) has 14 classrooms supporting early childhood programs for children ranging from the age of six weeks to six years, as well as After School and Summer Camp programs for children up to age 12. Classrooms include the Nature Center, Science Lab, Art Studio, Club House and more. The plaza and Fitness Station are great options for indoor active play on days when the weather is not cooperating. In order to best serve the needs of Naperville and surrounding communities, we offer a variety of programs for children from six weeks to twelve years of age. Use the links below to learn more. The Reggio Emilia approach to education has been at the forefront of early childhood education for over 40 years (Rinaldi, C. 2006. In dialogue with Reggio Emilia: Listening, researching and learning). This philosophy is rooted in a strong image of children as capable, rich in potential, and full of interests and ideas about the world around them. Teachers at The Compass School of Naperville (South) seek to inspire learning by encouraging creative exploration and collaboration between children in a welcoming, community-based school environment. For more information about what it means to be ‘Reggio-Inspired’, please click here. The Compass School offers enriching high-quality programs for school-age children throughout the school year and during the summer months as well, serving families located in southwest Naperville, Plainfield, Aurora, Oswego, and surrounding communities. The Compass School of Naperville (South) currently offers before & after school transportation to and from select Indian Prairie School District 204 schools, including Clow Elementary, Fry Elementary, Graham Elementary, Kendall Elementary, Patterson Elementary, Peterson Elementary, Spring Brook Elementary, and Welch Elementary schools. The Compass School of Naperville (South) campus is conveniently located at 3040 Reflection Drive, across the street from Andy’s Frozen Custard (just in case you needed another excuse to head our way!). For directions from your location, please click here. We would love to introduce you to our welcoming Reggio-inspired learning community. Please contact us at 630-848-1122 to learn more and to schedule your personal tour with a member of our administrative team. 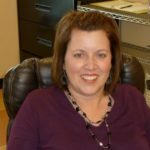 Erica has 22 years of work experience in the early childhood field, and began her career with The Compass School in 2001, as Director of the Naperville North campus. She attended Eastern Illinois University, majoring in Early Childhood Development. The World Markets classroom has recently been exploring “Architecture” for their project work. The students set out with their clipboards and took a tour of the school. After some hard work, negotiation and collaboration, they designed this great blueprint. Go Team World Markets! 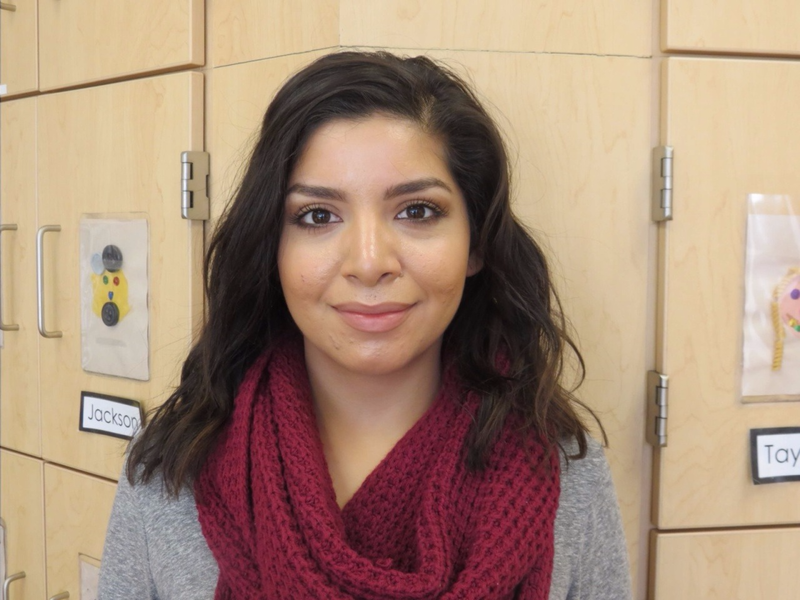 Miss Stephanie joined our team in 2016 as a preschool teacher and is currently teaching along with Ms. Toni in the Art Studio classroom. Stephanie grew up in the Plainfield community where she continues to live. After graduating from Plainfield South High School, she attended JJC where she received her Associates degree in Early Childhood Education. Miss Stephanie enjoys spending time outdoors and camping along with spending time with her family! Our first child was enrolled in the pre-K and kindergarten program (full-time program is very important to us). Due to the work by the teachers and the curriculum at The Compass School, she has been in the honors program since 1 st grade… We feel that the children that come out of The Compass School are more prepared than everyone else and have a head start. We love the curriculum, the caring staff and teachers, the variety of activities in which the children engage (ranging from creative arts projects to Spanish lessons to field trips), and the relatively intimate environment you’ve created at the school. We’ve been extremely happy during our time at The Compass School. I like the consistent positive attitudes of the staff and administrators and the feeling like it is its own community and that your family is an important part if it. I love the Reggio way of thinking and the fantastic art projects that the kids create. I love the learning philosophy. The staff has been a very dependable and supportive group that really helps us through the trials and tribulations of parenting. That is priceless. There are so many things I like about Compass but what I most appreciate is the open communication with parents and how a love of learning is being instilled in the children. It really is an amazing place. All the teachers are truly invested in the development of my boys. There are always making suggestions and providing help as we reach each development milestone. The varied and interactive approach to learning is unparalleled, and the teachers are truly ‘present’ each day and provide wonderful experiences that build a lifelong love of learning. I look forward to the daily email each day to let us know what was learned each day. My daughter’s Grandparents live out of town and I forward the daily emails to them. They LOVE them and love the fact that they have a conversation topic when they Skype before bedtime each night. The communication is excellent – it makes Compass stand out from the rest! The teachers constantly amaze me with their innovative learning techniques. My daughter looks forward to school each day. She told me the other day that, ‘each day in class is a new adventure.